What Can Ayran Drink Do For Your Health? Ayran is one of the best drinks in the world, because it is one of the healthiest drink for us. 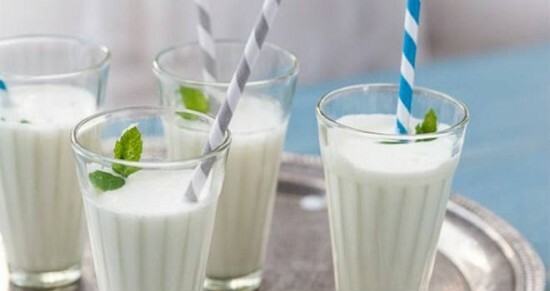 For hundreds of years ayran was used as a cool and useful tool in the gastrointestinal tract. Many people wonder, however, whether to drink the diluted yogurt with salt or not. Well, with salt or without salt ayran is very useful in all seasons, but especially in spring and summer. However, some researches advice that it is better to drink it without salt. The main reason for this is that daily take food with about 15 grams salt, as the rate is up to 5 grams daily. Content of salt in the drink more generally has a negative effect on older people than on younger children. Ayran improves digestion and removes excess gases, and at the same time improves intestinal microflora. You can combine ayran with fresh cucumber, mint and garlic. The taste is amazing! How to make ayran at home!